Green-Gro’s100% organic neem ‘Pet Shampoo’ is designed to meet the daily grooming needs of your pet dogs and cats. The main active ingredient in the neem pet shampoo,AZADIRACHTIN, controls and can eradicate ectoparasite attack from ticks, fleas and lice, and will, with regular grooming,prevent re-infection. 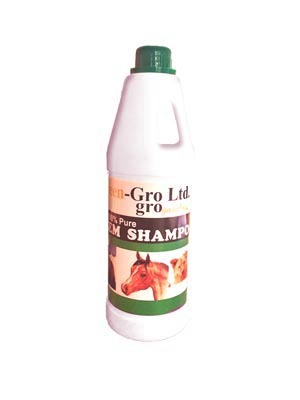 The neem oil, which is organically certified and 100% natural, serves as a conditioner for your pet. The active ingredient AZADIRACHTIN, will also heal flesh wounds and bruises on pets help to reduce or clear traces of scar tissue.